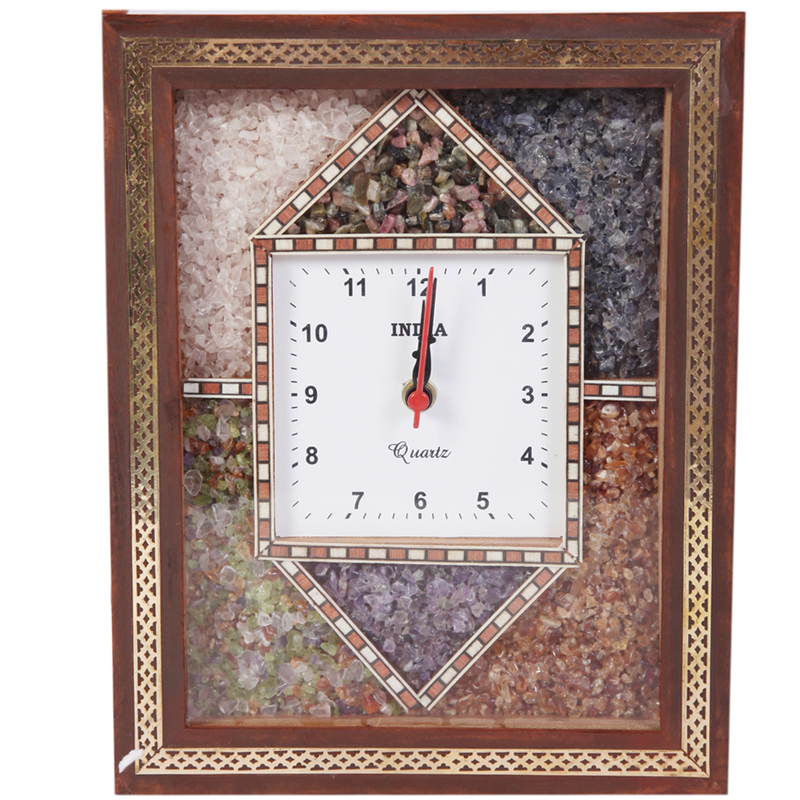 This Stone Embedded Multicolor Square Shaped Wooden Wall Clock is sure to dazzle all the onlookers with the embedded stones on its face. 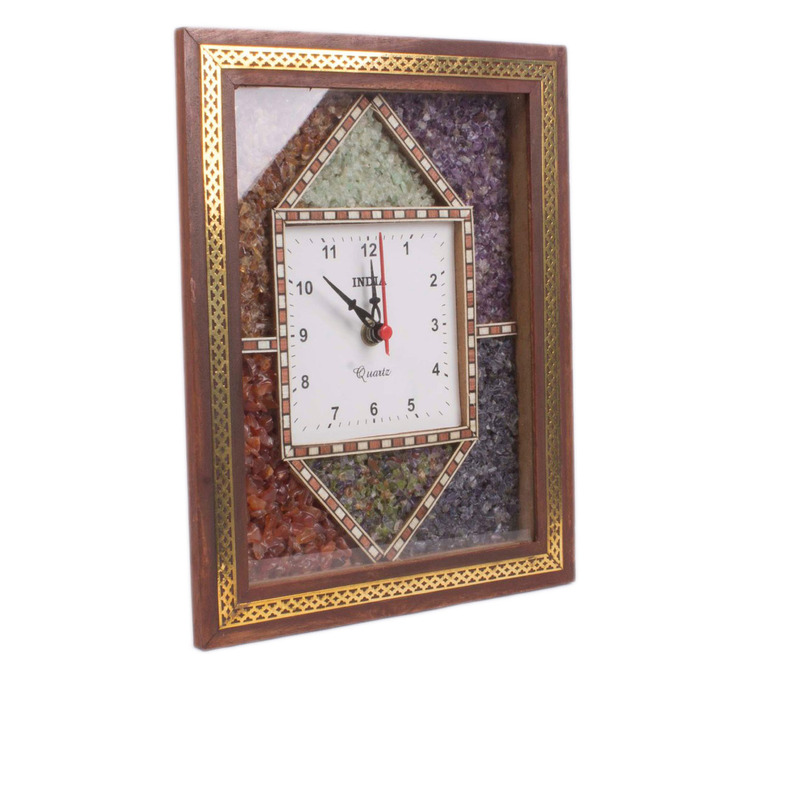 Moreover, the Read More..unique pattern work created by the embedded stones nicely compliments the square shape of this wall clock, while the finely carved wooden body adds to its premium feel. 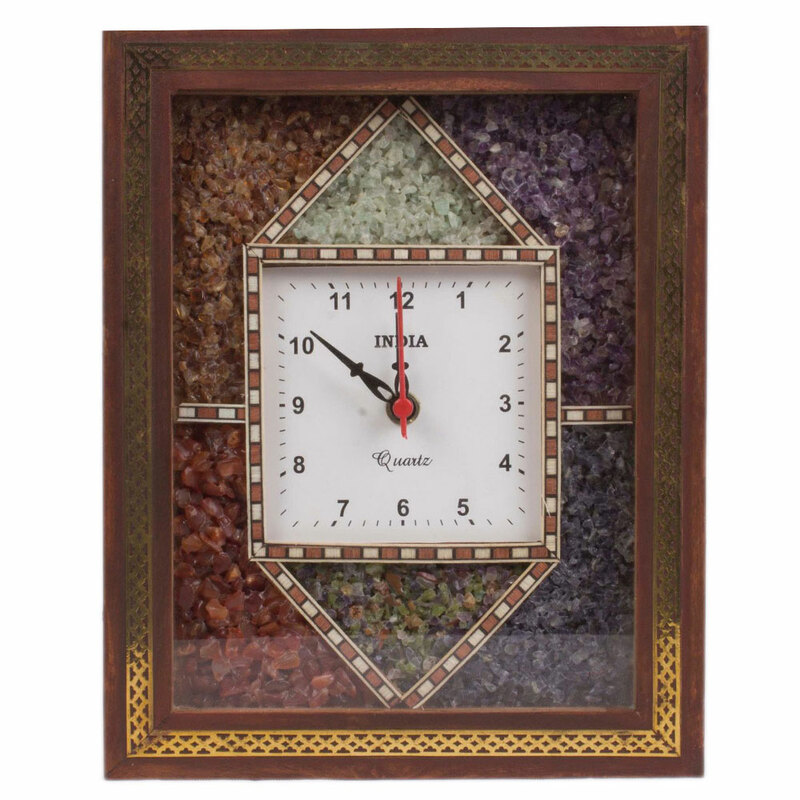 The majestic splendor of this wall clock is ideal for adding to the décor of any home interior, while also being of utmost usage to its owners by telling time accurately. Show Less..